Mayor Patrick Madden joined Coach Bob Burns and members of the undefeated state champions Troy Flying Horses Football Team to unveil a street sign recognizing the squad’s back-to-back victories in the NYSPHSAA (2016, 2017). 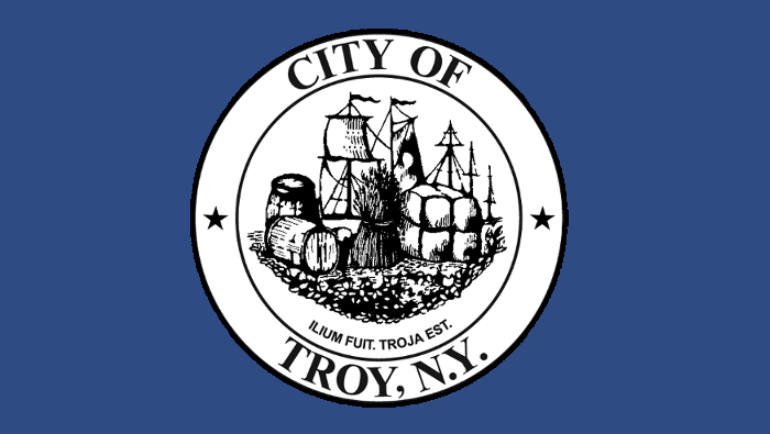 This General Services Committee Meeting will be held on June 14, 2018 at 6:00 PM at Troy City Hall. View the agenda for this meeting. Mayor Patrick Madden joins Congressman Paul Tonko for a tour The Cookie Factory’s commercial bakery and distribution facility on River Street in Troy, New York.